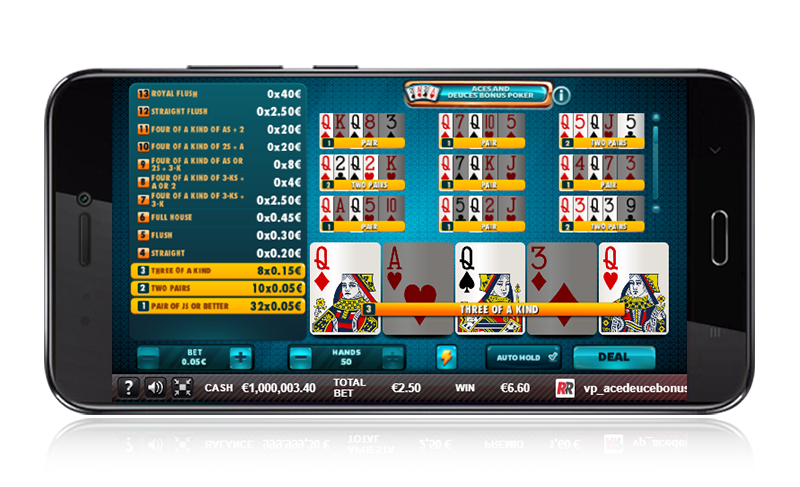 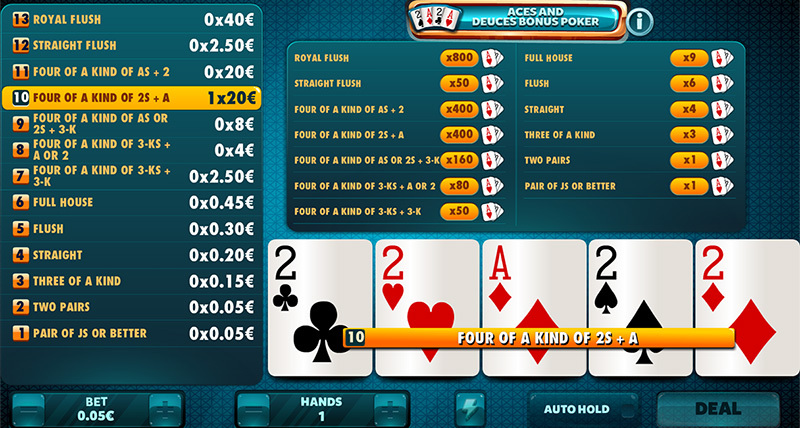 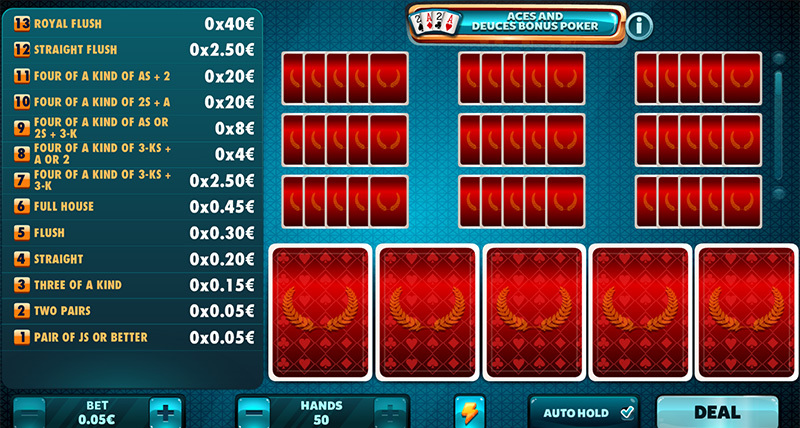 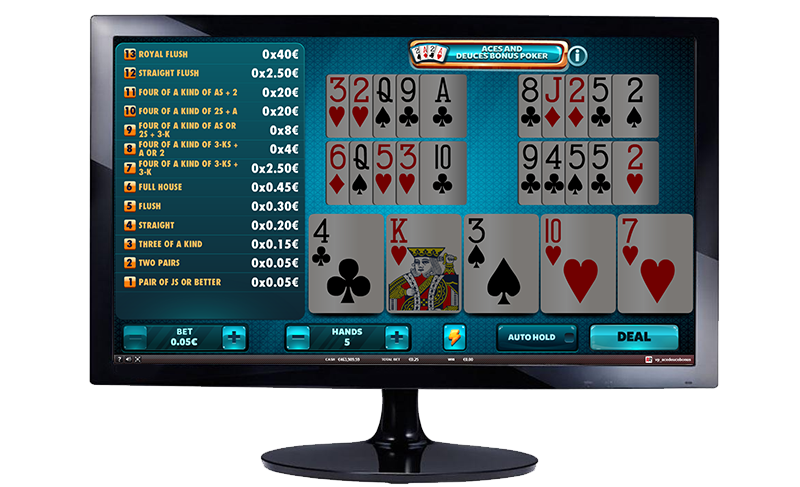 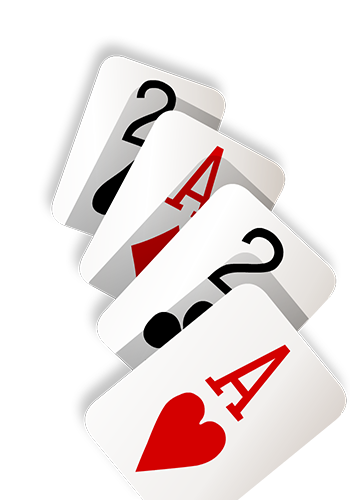 Try to obtain the “Four of a Kind of Aces and/or 2s” in order to win the best prizes. 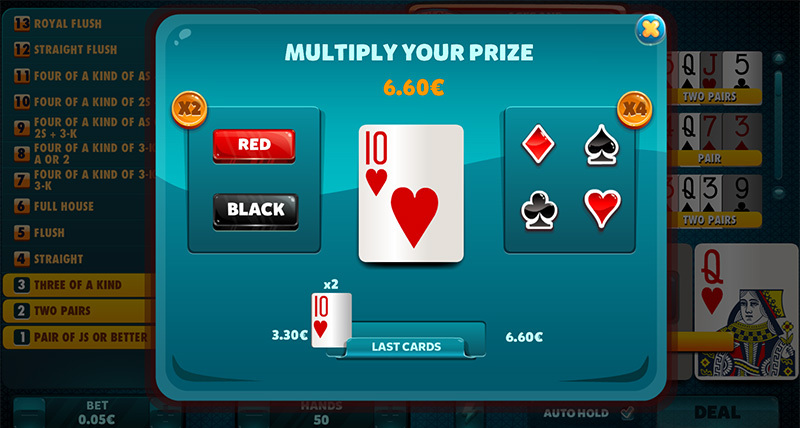 However, in this variety, any hand equal to or higher than a pair of Js will give you winnings. 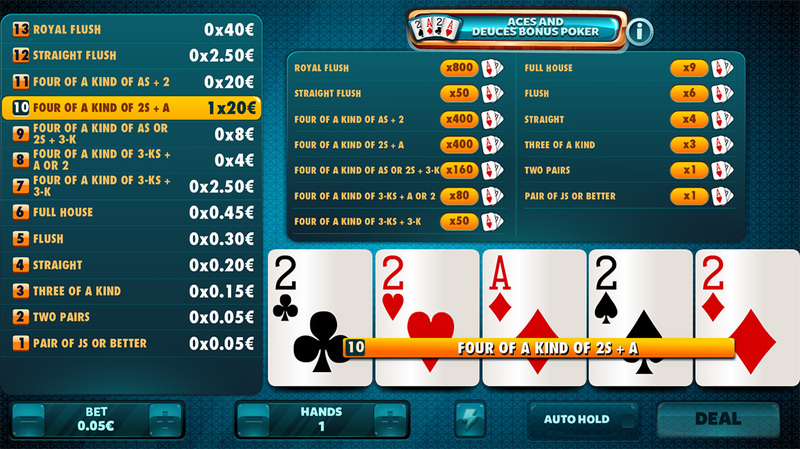 Aces & Deuces Bonus Poker: A Four of a Kind of twos has never been worth so much. 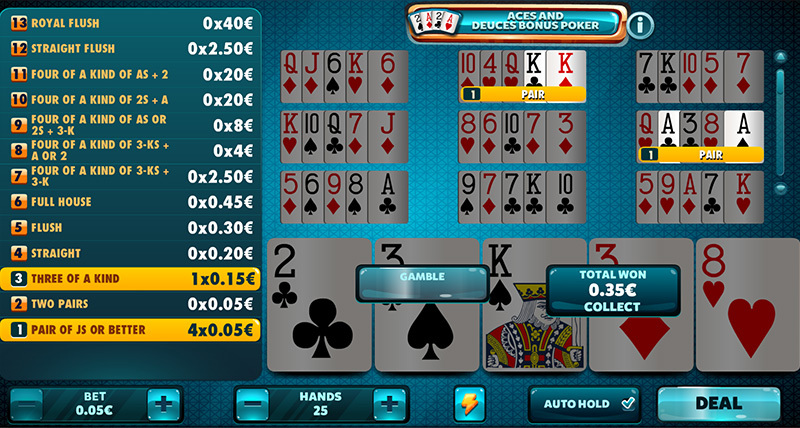 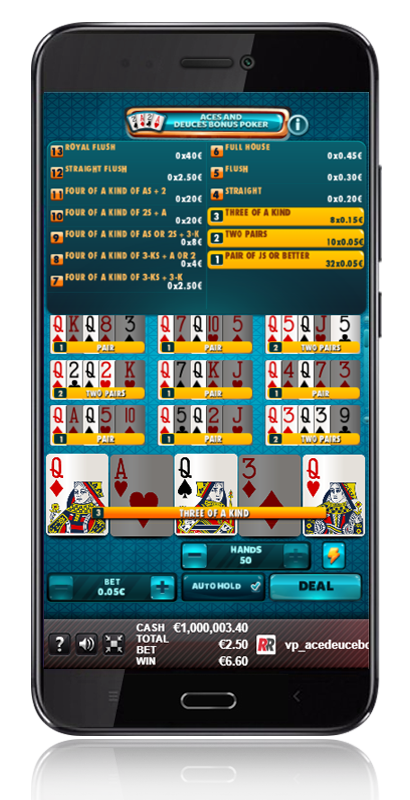 Aces & Deuces Bonus Poker: Any hand equal to or higher than a pair of Js will have a prize.